Oats are chopped in large pieces which provides naturally mild exfoliation properties and color variation in products. Enhance the beauty and exfoliating properties of bars of soap with these chopped oats. If a finer grade is desired, grind in food processor or coffee grinder. 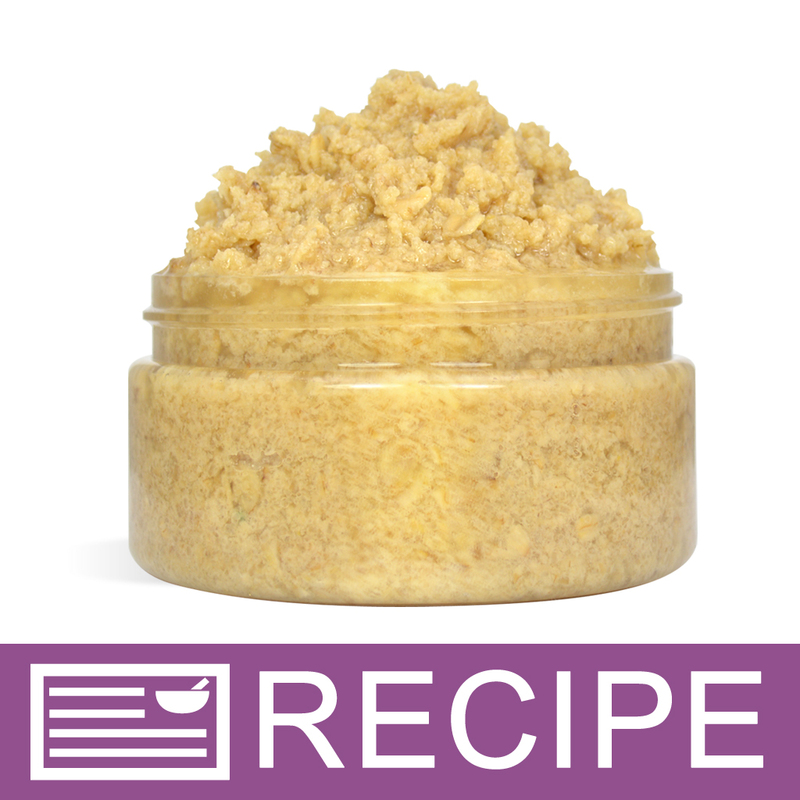 Use Chopped Oats in bars of soap, face and body scrubs, milk baths and more! Provides naturally mild exfoliation properties and color variation in products. Contains real oatmeal that has been processed for ideal performance. All Natural. COMMENTS: I use this in some of my scrubs and they are wonderful! COMMENTS: These little exfoliating babies are to die for. I use them in my sugar scrubs. Oh...my my. They make my skin so good!!! COMMENTS: The grains of the chopped oats are larger than what I expected. I used it in my oatmeal, milk & honey soap and used it in just one layer so that it is not too exfoliating on the skin. Overall my finished soap had the perfect amount of exfoliation. I did not have any difficulties suspending it in my mely&pour soap the soap had to be stirred until it was almost a jelly consistency but it was well worth it to suspend it throughout the layer. I would definitely continue to buy it! "Exfoliating oatmeal milk and honey bars"
COMMENTS: I used the oat scrub in batches of cold processed soap. The exfoliation is wonderful and not rough on the skin. Customers love this! COMMENTS: I like these for exfoliation but I had to grind it finer in order for it to not be so scratchy. "Left my skin so soft"
COMMENTS: I mixed this throughout my melt and pour soap before pouring it into a mold. It tends to sink to the bottom which was a little disappointing. However when I used the soap in the shower I was so pleased with how soft it left my skin. It makes a wonderful exfoliate. COMMENTS: I didn't know what to expect from this product but I was pleasantly surprised. The grains were a little larger than I thought they would be, which was good for decorative purposes & it was extremely easy to grind down to smaller, finer size for scrubs. "Great for scrub bars! " COMMENTS: I use this when I make scrub bars with Mp base. They work great at providing a mild exfoliation and look great as well! "I love it on my soap as an exfoliator "
COMMENTS: I love it on my soap as an exfoliate. COMMENTS: A little bigger than expected but looks good when topping off soap. I used it to top off a milk and honey soap, while I wish I had been able to get a finer grade it does look good on the finished product. 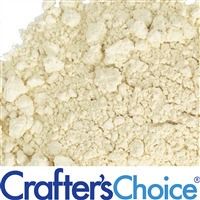 "Crafters Choice™ Oat Scrub - Chopped Oats"
COMMENTS: A little too big for what I imagined. I'll throw them in the food processer and make them smaller. COMMENTS: I used this in my gardener's soap and kitchen soap. I also make a goats milk soap with it. My customers love it. COMMENTS: I ground the oats for making OMH soap. Wonderful for making an exfoliating soap. COMMENTS: Great price and quality. COMMENTS: Was not what I was expecting, but I love it! I love how it is not a fine powder, and provides just the right amount of exfoliation. I will be ordering more of this again! COMMENTS: This is a wonderful product! Absolutely love and will buy again for sure! "not what i expected but loved it"
COMMENTS: These were okay not what I expected, I thought this would be more ground up but still useable in my soap. I just ground them myself and to my surprise the soap came out wonderful. COMMENTS: This product added a great texture to my sugar scrub and also perfect added exfoliant. Will definitely continue to buy. "Great for an exfoliator "
"If I put this oat scrub in an oil-based body scrub, will it become soggy after some time (like overnight oats)? Or will it retain its corseness?" Staff Answer These will probably not become soft. They are fairly larger pieces. If you want them softer, we recommend grinding them in a food processor or coffee grinder. "What type of oats are used? I know its not the instant kind but I am not sure what to purchase at the store. Thank you "
Staff Answer These are coarse meal obtained by the grinding of the oat kernels. "can regular oats be used in this recipe"
Staff Answer We would be happy to answer your question but you did not list a recipe. Your question pertains to an ingredient. "Is this exfoliant comparable to salt or sugar, is the coarseness the same?" I think it is coarser than salt, just slightly. Staff Answer These are actual chopped oats. So each particle is larger than sugar granules or table salt. The picture for the Oat Scrub - Chopped Oats shows exactly how they look. "Can I use this instead of the strawberry seeds in your recipe for glowing facial scrub? Thank You, Heidi"